Pune is a beautiful city in the state of Maharashtra that is known for its education institutes, IT parks, lush greens, low air pollution and a lot more. Today, Pune is one of the most loved cities in the country that many people are shifting to. The real estate sector in Pune has grown over the past couple of years and has a lot to offer. 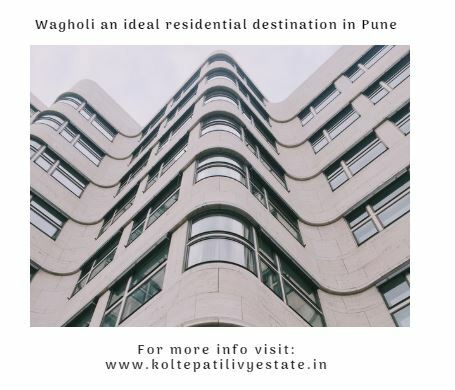 Kolte Patil Ivy Estate is a new residential project in Pune by Kolte Patil Developers Ltd. that offers premium luxury and comfort of pure elegance and divinity. Extended over acres of land, this development contains glorious R.C.C structures that offer 1,2 BHK, 2.5BHK and 3BHK luxury apartments and row houses of pure delight. The apartment/row house area sizes start at 457 sq. ft. and go up to an incredible 1208 sq. ft. 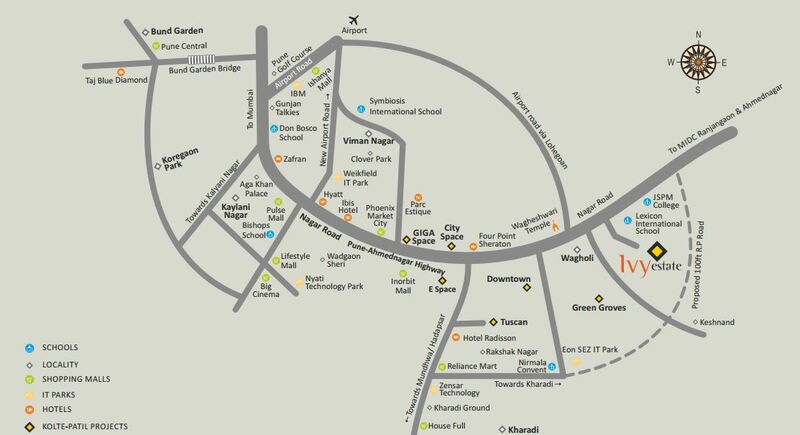 This development offers premium luxury and comfort through a wide range of internal and external amenities. The apartments are high on space and contain luxury fittings and fixtures, high-quality vitrified flooring, decorative doors, wide balconies and fancy windows providing landscape views, splendid modular kitchens with multiple provisions, high-quality electrical sockets for all electronics located perfectly, intercom facility and other safety features. 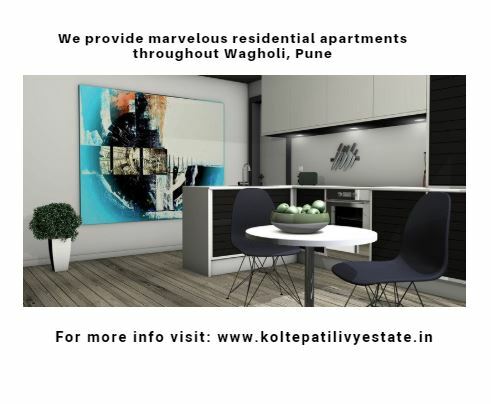 Kolte Patil Ivy Estate Pune does not run short on external and offers nothing, but the best! The external amenities include a clubhouse, meditation centre, swimming pool, well-equipped gymnasium, multiple sports facilities and a play area for kids, daycare centre, multipurpose hall, landscape garden, efficient car parking, power back-up for emergencies, 24hour water supply, and 3-tier security for total safety. This development also takes-up rain water harvesting to conserve water. 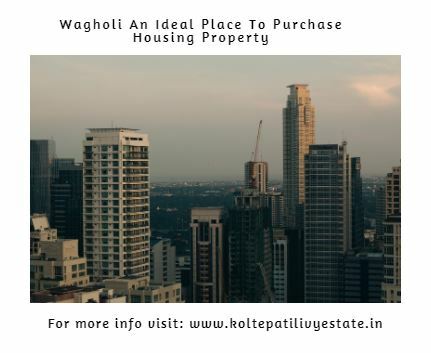 Located at Wagholi in Pune, this residential development has several landmarks in its vicinity and offers convenience that will always keep you satisfied. Places like schools, institutes, medical centers, hospitals, general stores, supermarkets, cafes, cinemas, restaurants, ATMs, banks, public transport and a lot more can be accessed in the shortest amount of time possible. Starting at a price of Rs.27.70 lakhs and moving up to Rs.73 lakhs, the Kolte Patil Ivy Estate price is exclusive, affordable and totally worth the vibrant features that it has to offer. Without a doubt, purchase at this development will be loved for generations to come. You can choose from a number of payment plans along with home loan facilities through associated banks, NRI services and more for a hassle-free purchase..
Kolte patil Ivy Nia is the new launch which is a part of the Ivy Estate township that offers 1 and 2 BHK apartments along with the array of amazing features and amenities .It also provides great connectivity to the prime locations of the city like School, Mall, Hospital etc. Pune International Airport - 20 Min. 16 km from pune Railway station . 9 km from Ion It park, after ring road 4.5 km . MIDC zone starts from 4 km .